Paul Griffiths, senior director, Advanced Technology Group EMEA/APJ at Riverbed. Having global connectivity gives users access to everything they need, be it business or social. It connects them to all parts of their organisations, and to applications and services that are 'out there' on the cloud. 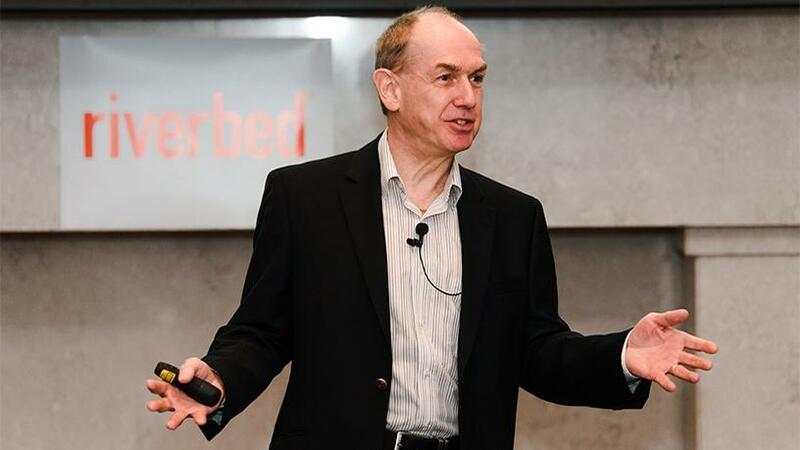 "Today, the problem isn't the cloud itself, it's getting to the cloud," said Paul Griffiths, senior director, Advanced Technology Group EMEA/APJ at Riverbed. Speaking at Riverbed's Maximise Your Digital Performance event in Johannesburg earlier this week, Griffiths talked about rethinking networking for today's cloud-centric world. He said what's preventing users from being as productive as they could be is the network infrastructure that is connecting them to their applications. "Moreover, the application landscape has grown dramatically over the last few years, in terms of the choice available, as well as how and where they are provisioned." According to Griffiths, being able to connect users to those applications is becoming more and more complex. People are using public cloud infrastructure for business purposes, or subscribing to different Internet connections and that provides network managers with a new set challenges. "I can't see what is going on, and I can't control who is connecting to where; there's a lack of visibility." In some cases, he noted, there might be branch locations where users are looking to connect to applications, but they have direct Internet access, so how can these be secured? "I cannot start changing infrastructure around to accommodate and meet these challenges. It's never a question of pressing a button, there's a change control process that needs to happen. Infrastructure is fragile; I don't want to touch anything." The bottom line, says Griffiths, is that networking hasn't kept up with the cloud. "It is still in the 20th century, and the rest of us have moved on." There are many challenges associated with WANs, he explains. They are complex to manage, they are fragile and inflexible, and there is a lack of visibility. Poor and unpredictable performance can be an issue, as is the fact that they are harder to secure. This is where SD-WAN comes in, he says. "Software-defined really means making things easier. What if IT was able to instantly provision applications, and enforce security and performance whatever the network, and wherever the users' resources are?" Businesses need to ensure their applications work the that they need them to, and need to enable IT to change the way the network provides the consumers of those applications. He says from an IT leader's perspective, using software-defined policies and procedures allows the business requirements to be instantly translated. "I can say a particular application needs to be seen by a particular set of users, and in a few clicks, my requirement for that application is translated into something that my IT infrastructure not only understands, but can carry out from a simple software-defined environment. "Imagine a situation where IT was able to instantly provision the right network connectivity with the right security and the right guarantee of transport for that user, regardless of who they are and where they are, and regardless of what the application is. That's the power of SD-WAN." Talking about the edge of the network, Griffiths said: "By its very definition it is remote from all the other resources and skills. There are regional offices, branch offices, remote locations, manufacturing facilities, retail stores and the Internet of things." The challenge at the edge is overcoming distance and latency. "There's a lack of agility at the edge too. It is time-consuming to deploy new sites and services in these environments, and a struggle to maintain them. Then there's constrained performance, a lack of edge compute and storage resources, resulting in slow applications and poor experience. How do I know if things are working well, and if they're not, how do I solve that problem? There's increased risk, as islands of remote data are difficult to secure, backup and recover. There's also limited IT resources, with little to no IT staff at remote locations to deploy and support infrastructure and applications." He says a software-defined approach provides the business with simple, policy-based views of connecting users to applications, with the visibility that is needed to detect what applications they are using, and the knowledge that the network infrastructure they want to connect to is of a particular type. "This enables me to create a fairly straightforward environment, and allows me to connect the users at the edge all the way through to the application."